Unlike most wedding planners Personal Touch Wedding Planners do not charge you for their professional advice. At Personal Touch we provide all the services ourselves. Anything we do not provide i.e. photography, DVDs etc we have negotiated with the proper professionals in their fields for discounts so we can provide the best wedding package for you! Chair covers can make an elegant difference to your wedding day! Personal Touch will make sure our chair fitters transform your hotel or marquee venue. The organza sash will be colour coded to make the finish complete and roses can be added to the back of the sash for that extra little finishing touch. Simply Chocolate - The Chocolate fountain makes an elegant free standing centrepiece for your special occasion. Impress your guests on your big day with hot Belgian chocolate together with a selection of fruits, confectionery and biscuits for dipping. Personal touch has a choice of 100 different designs to choose from or you provide the picture and we design it with the picture in mind. We also pride ourselves on the fact that our cakes do not only look good but taste good! Some people say the wedding cake is the second most looked at thing after the bride, that's why there is so much time put into getting it just right. Balloons can make the room a more picture perfect venue. All balloons will be colour co-ordinated to match your colour scheme. This is a great way to fill the void from the tables to the ceiling. Such is the quality of the stationery that CCA produce, it is the only company we use at Personal Touch. There are over one hundred different designs from modern to traditional. It is one of the first things regarding your wedding that your friends and family receive so make the first impression a lasting one. We can also supply a top quality calligraphy service just to make things a little simpler for you. Put that finishing touch to your guest tables and hire our fabulous five branch candelabras and plate chargers which will only make your wedding venue more elegant. We now have new 72 inch floor candelabras for ends of top table - 5 branch. Weddings of Wonder are dedicated to turning your wedding venue into something special. We aim to give each venue the WOW factor!! 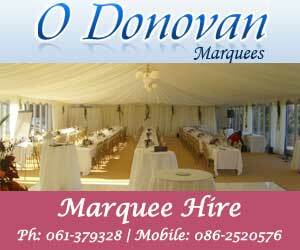 "i want someone to organise my wedding i need a wedding planner in belfast i want personal wedding planner northern ireland"